Read who we are and what we are about. Now in it’s 30th. 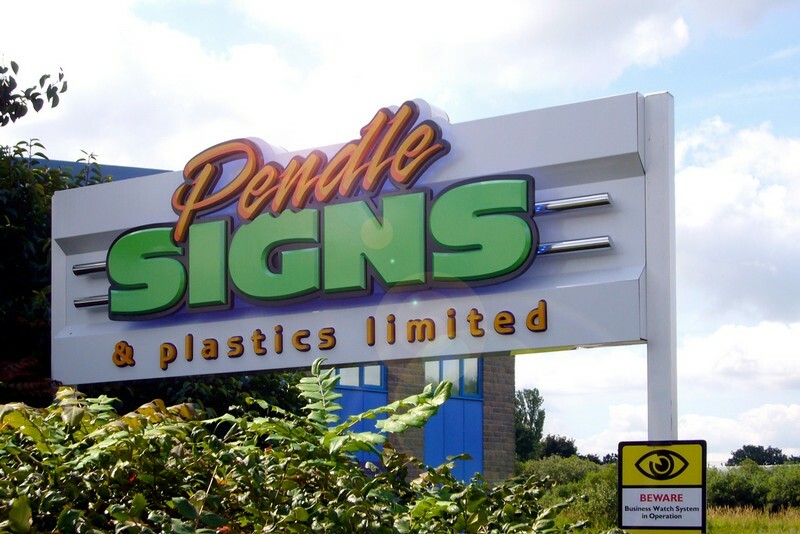 year since incorporation in 1982, Pendle Signs & Plastics Ltd. still holds traditional values close to it’s heart. Good manners, high level of service, and a quality product keeps long term relationships alive. In the first few years of business, steered by previous experience in the industry, the company invested in the growth of the computer controlled signmaking equipment that became available to allow growth and accuracy. In house ethics and training moved the company forward enough to then take possession of a purpose built stand alone unit at it’s current site enabling the installation of the maximum sized router bed machines to enable Pendle Signs to take on the kind of work it has built it’s reputation upon in recent years. Constant investment in training, equipment, and manpower puts Pendle Signs in a healthy position ready for the future.